Gender Discrimination at the Met | Bonnie Reilly Schmidt, Ph.D. I often say that they should be aware of the history of the RCMP, their human rights, and the gendered attitudes that are systemic in the culture of the police force. Of course, not everyone is convinced that discrimination still exists in policing. I was reminded of this recently when I read an online article published by Womanthology. 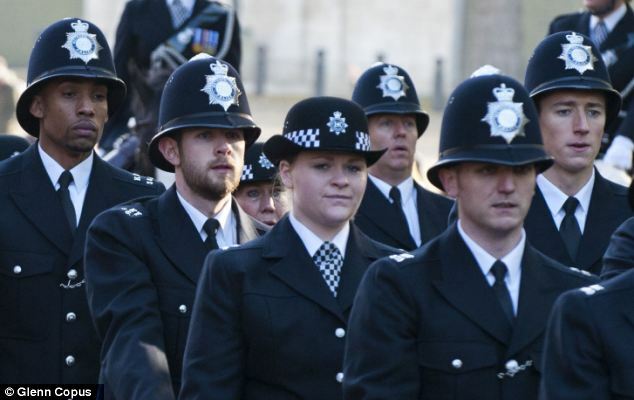 Written about nineteen-year-old Katie Dennell, a new constable working for London’s Metropolitan Police Service (also known as the Met), it is a reminder of the energy and exuberance that young people bring to police work. Before we dismiss Katie’s enthusiasm as naïve, we should talk about what she has overlooked to arrive at the conclusion that her employer has solved the problem of gender discrimination. Because I am not privy to the inner workings of London’s police service, I’ll confine my comments to two informal observations found in the article that convince me that gender discrimination is alive and well at the Met. 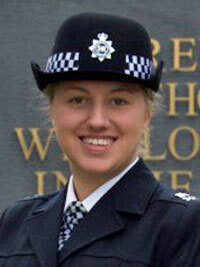 To begin with, Katie is referred to as “WPC Katie Dennell.” WPC stands for Woman Police Constable. Female police officers at the Met have a “W” in front of their rank. It is a distinguishing marker that is discriminatory since male officers do not have a similar designation, such as “MPC,” that identifies their gender and rank. Secondly, a photo of Katie in her uniform suggests that there is a definite difference between male and female officers. Differences between uniforms are always tied to more conventional ideas about masculinity and civic authority and they have, historically, been one way of appeasing tensions regarding the integration of women into the rank-and-file. This is particularly true if the uniform is viewed as a national symbol. For example, the men of the Met still wear the famous bobby helmet which has been an iconic symbol of British law enforcement since 1863. In contrast, the Met’s women wear a bowler-style of hat. Different headgear was also the experience of the women of the RCMP in 1974 who were not issued with the famous Stetson hat worn by the men. Instead, they were issued with a pillbox hat to give them a feminine appearance. Today at the Met, women wear a checkered cravat instead of a necktie. As a social marker, a necktie can convey a whole set of socially constructed ideas about masculinity and femininity. A necktie symbolizes professionalism and neatness and projects a certain public persona about the wearer. Although the original female RCMP service uniform included a necktie, its triangular shape suggested, in much the same way that the Met’s checkered cravat does, that a female Mountie was still feminine despite working in a male-dominated occupation. Feminized versions of ties convey the idea that female police officers possess a different set of attributes and authority than their male counterparts. Uniforms and lettered designations can tell us a lot about discriminatory attitudes within police culture, despite official policies to the contrary. Difference is not the same as equality. In fact, it suggests subordination and sets up masculinity as the standard within the profession. My hope is that Katie Dennell will have a long and successful career ahead of her. I also hope that the discrimination she undoubtedly will encounter will not dampen her enthusiasm for the work or her desire to help people in the communities she will serve. Good luck and stay safe, Katie. For more on the meaning of uniforms see Jennifer Craik, “The Cultural Politics of the Uniform,” 129. It was not until 1990 that the RCMP began to issue a unisex uniform to all of its members.